Are You Ready for the February 2017 Family History Pinterest Challenge? 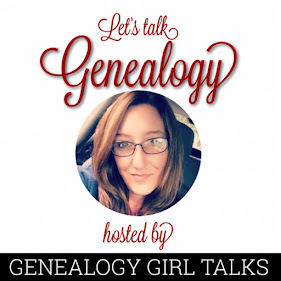 Thank you for your interest in joining the Genealogy Girl Talks Family History Pinterest Challenge! This challenge begins February 1, 2017! 1. 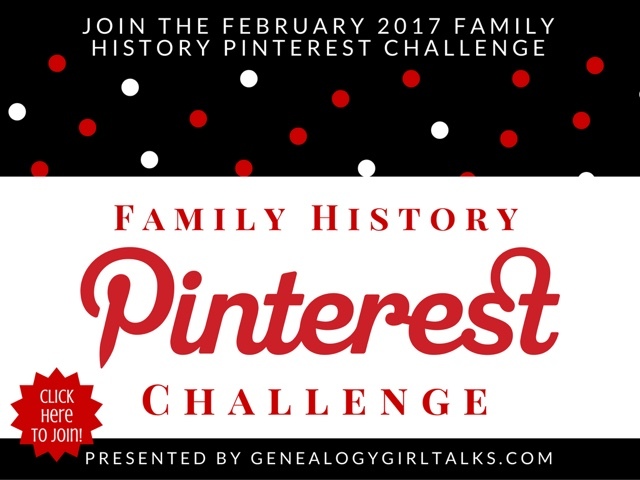 Create a Pinterest Board titled "Feb 2017 Family History Pinterest Challenge." 2. Pin the image above to your new board to help spread the word. 3. Every day there will be a new prompt with ways to share your Family History on Pinterest. These prompts will appear on my Feb 2017 Family History Pinterest Challenge board. (Click here to view my board on Pinterest). 4. 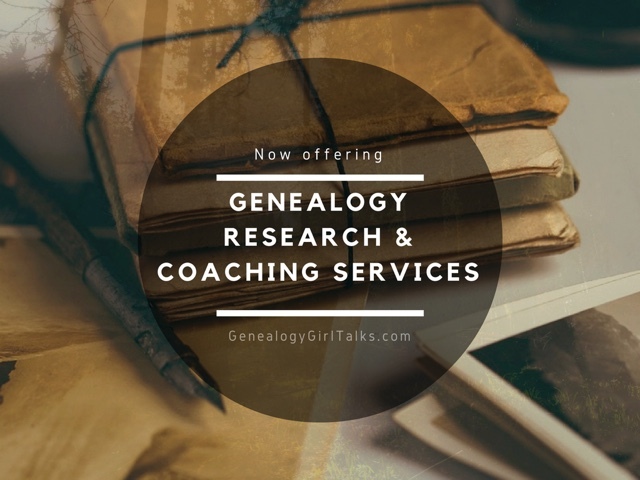 The daily prompts may be a picture, quote, link to a document, link to your blog post, an image that reminds you of your ancestors, or anything related to your Family History. 5. Be sure to follow my board so you can get the prompts in your Pinterest feed! 6. OPTIONAL: Leave a comment below with a link to your board so we can find and follow you. 7. Have fun and enjoy! The last time I did a Pinterest Challenge was November 2014. A lot has changed on Pinterest since then, but the concept and fun is the same! So, let's have some fun with this. 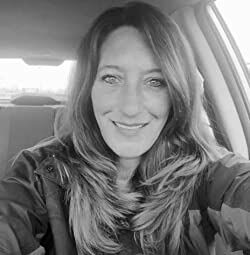 If you are a business or create Family History related products and would like to offer a freebie or giveaway for a day, contact me and I will do my best to include you in the Challenge! Thank you for joining! I followed your board on Pinterest! here is my link to my pinterest board, I am really looking forward to this challenge!! Here's my link! Excited for this.